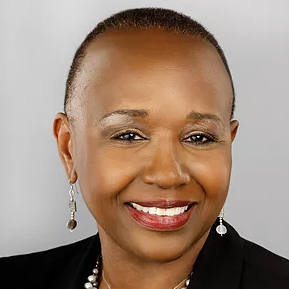 Stephanie A. Saunders is a Buffalo native employed by the New York State Unified Court System as a Principal Law Clerk to the Honorable E. Jeannette Ogden. She proudly credits her parents, the late Richard A. Williams and Mary Williams and BPS education for providing a paradigm of success personally and professionally. After graduating from Syracuse University with a bachelor’s degree in political science, Stephanie worked for several years in the Washington, D.C. metropolitan area where she had a thriving career in government contracting and sales. Upon her return to Buffalo, she started at Hiscock & Barclay, LLP (now Barclay Damon, LLP) as a word processor, promoted to legal secretary/paralegal where her talents caught the attention of mentor Hon. Salvatore R. Martoche. Judge Martoche challenged Stephanie to become a lawyer and after some prodding, she accepted the game-changing task. After graduating from the University at Buffalo Law School with her juris doctorate, Stephanie worked for Hodgson Russ, LLP and returned to Hiscock & Barclay LLP as an attorney. Using her skills to step outside of the practice of law, Stephanie accepted a post as the director of medical affairs for Kaleida Health for several years before joining the BPS Board of Education in 2014, and the New York State Unified Court System in 2017. Stephanie has an infectious sense of humor complimented by an unforgettable laugh. She’s well-known for sharing treasured adages from her late paternal grandmother, Ora Lee Murray, that help guide people through this remarkable life. A lover of good times and good people, you will find her spending quality time after hours with friends and family who keep her grounded and focused on what matters. Stephanie is married to Kerry L. Saunders, and they have three children: Lacey, Eddie and Gylan and two grandchildren, Eddie Jr. and Ryian.